Google is set to relieve HTC of its mobile phones unit, according to a report in Taiwan's Commercial Times, leaving the company to focus on its Vive VR helmet. Originally a Windows Mobile contract phone manufacturer, HTC currently produces Google's Pixel phones, a relationship which is expected to continue. However, since its zenith in 2013, HTC has stumbled badly. Samsung got its act together, HTC failed to produce a broad, competitive portfolio, and didn't cut costs in line with revenue. This week HTC, which gives market guidance monthly, said that August was 54.4 per cent down on a year ago, and the lowest since 2004. 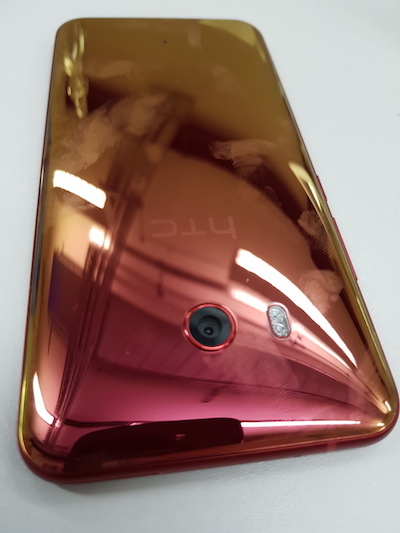 Consolidated sales for the year to date were down, 14.4 per cent on last year, despite a well-received flagship, the HTC U11. Ominously, the move would resemble Microsoft's purchase of Nokia's phone division in 2013. Although presumably, in this case, Google is deadly serious about own-brand phones. Google's record in consumer electronics is not a good one, with Android TV and Wear languishing, and warehouses of dusty Play-branded peripherals. However, Pixel's vast marketing budget suggests it genuinely wants to become a tier-one phone vendor. Commercial Times' sources describe it as a "strategic investment".